Looking for Insurance in Nevada? ♦ Fast enrollments. Get enrolled in only 10 minutes! We are a local Las Vegas, family owned insurance agency. We work hard to fit you into the smartest, most affordable insurance that meets your needs. We will take you step-by-step through the available options and find the one best suited for you. Our friendly, knowledgeable and licensed insurance agents make it EASY to enroll and are available all year long – year after year. We have been helping people find the right insurance coverage and get the most for their money for years. As your agent, we will always be here to answer your calls and your questions. That’s right, you will always speak to your agent (the one person that knows you and your situation) not a different person every time you call a 1-800 number out of state or out of the country. We are local and living right here in Nevada. If you want an agent that actually cares about you, and understands local plans and policies, you’ve come to the right place. Getting the best rate and the best plan comes down to finding the best agent. They need to be experienced and have a working knowledge of the plans offered. We study Nevada PLANS AND BENEFITS and help you choose the one that’s best for you. 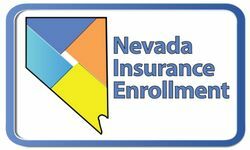 Why choose Nevada Insurance Enrollment? Having an insurance agent doesn’t cost you anything (the service we offer is FREE) because the insurance company pays us to assist you. Plus, our service doesn’t stop once you purchase a plan, you’ll get help and expert advice with your initial sign up and through every step of owning an insurance policy. ♦ They are FREE to use. 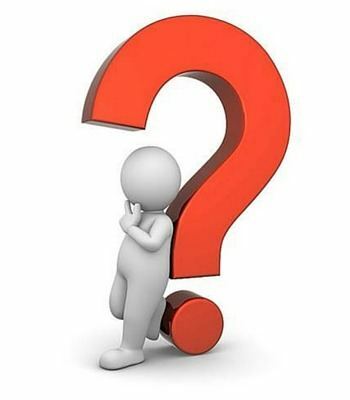 Why would you NOT use an agent or broker? Auto Insurance is designed to cover most, if not all of the expenses that result from an accident. Auto insurance covers you up to the limits you choose, ensuring that a collision or any accident doesn’t financially devastate you. Auto insurance also ensures that the victim of a car accident receives fair compensation. Car accidents can be expensive, and that’s where auto insurance comes in. In fact, a single collision can set you back tens of thousands of dollars, especially if medical bills are involved. Obviously, not too many drivers can pay out of their pocket for unplanned accidental expenses like that. But whether you can afford it or not, if you’re responsible for an accident, you’ll have to pay to get the other driver (and yourself) back to pre-accident condition. Health Insurance is a type of insurance that helps cover the high cost of medical and surgical expenses. Health Insurance helps pay for health care and protects you from paying the full costs of medical services when you’re injured or sick. Unlike Group Insurance you get from your employer or spouse’s employer, Individual and Family Health Insurance you purchase on your own. When you buy insurance on your own, it is a private health insurance plan. Similar to choosing other types of insurance like auto, home or life insurance, you can choose from a variety of insurance company’s and many levels of plan coverage (Platinum, Gold, Silver, Bronze) to meet your budget and health care needs. Health insurance plans vary in deductibles, costs, co-pays, prescription costs, networks of doctors and hospitals etc., and what you’ll have to pay. Medicare is a federal health insurance program that pays for a variety of health care expenses. Medicare is administered by the Centers for Medicare & Medicaid Services (CMS), a division of the U.S. Department of Health & Human Services (HHS). Medicare is health insurance for Americans 65 or older (or under 65 years old with specific disabilities) or anyone at any age with End Stage Renal Disease (ESRD) or Lou Gehrig’s Disease. Most U.S. citizens earn the right to enroll in Medicare by working and paying their taxes for a minimum required period. Even if you didn’t work long enough to be entitled to Medicare benefits, you may still be eligible to enroll, but you might have to pay more. Final Expense Insurance (also known as: Funeral Insurance / Burial Insurance / End of Life Insurance / Cremation Insurance), are specifically designed to cover the costs of funeral services (burials or cremations), and ANY other expenses you may leave behind when you pass. It is insurance money, in the form of a check, that is sent to your loved ones (who are called the beneficiary) immediately upon your passing. These Whole Life Insurance Policies ensure that loved ones left behind will have time to grieve and will experience peace of mind knowing the costs are going to be covered with insurance. They won’t have to panic or scramble around trying to figure out how to pay for these expenses. Your loved ones (beneficiary) will receive the insurance money quickly. The check comes untaxed, and does not go through probate. Group Health Insurance coverage is a health insurance policy that is purchased by an employer and is offered to employees (and typically to the employees’ family members) as a benefit of working for that company. Group Health Insurance is usually part of a comprehensive benefits packages that employers provide for employees. Dental Insurance is designed to pay a portion of the costs associated with dental care and works in much the same way that medical insurance works. For a specific monthly premium, you are entitled to certain dental benefits. These benefits usually include regular checkups, cleanings, x-rays and certain services required to promote general dental health. Some plans will provide more coverage than others and some will require a greater financial contribution on your part when services are provided. Vision Insurance is typically a supplemental insurance to other types of medical insurance policies. Vision Insurance will help offset the costs of routine checkups as well as help pay for prescription glasses or contact lenses. Some plans also offer discounts on corrective surgery such as LASIK. Travel Medical Insurance (health insurance while traveling), is for travelers who are leaving the United States and want to have health insurance coverage on their trip. It is sometimes called Worldwide Medical Insurance, International Medical Insurance, International Travel Insurance or Worldwide Health Insurance. Are these low cost Health Insurance plans right for you? You will go through an underwriting process, which means these health insurance plans will look at your “pre-existing conditions”. These plans work best for those individuals and families that don’t have pre-existing conditions. Short Term Insurance, is not compliant with the Affordable Care Act. ♦ These plans DO NOT cover pre-existing conditions, wellness visits, mental health, others. ♦ These plans DO cover hospitals, surgery, outpatient procedures, doctors, specialists, radiology, urgent care ($75 copay), emergency room, labs, ambulance, DME, home health care, supplies, prosthetics, rehabilitation, radiation and chemo, transplant expense, others. Short Term Health Insurance is usually purchased for short periods when waiting for a regular major medical insurance policy to begin. Sometimes Individuals and Families will use short term policies instead of getting a regular major medical policy. Short Term Health Insurance many times is used in between semesters for College students, in between jobs after you’ve quit a job and waiting for your benefits to begin at your new job. Athletes will use short term policies to cover sport seasons.